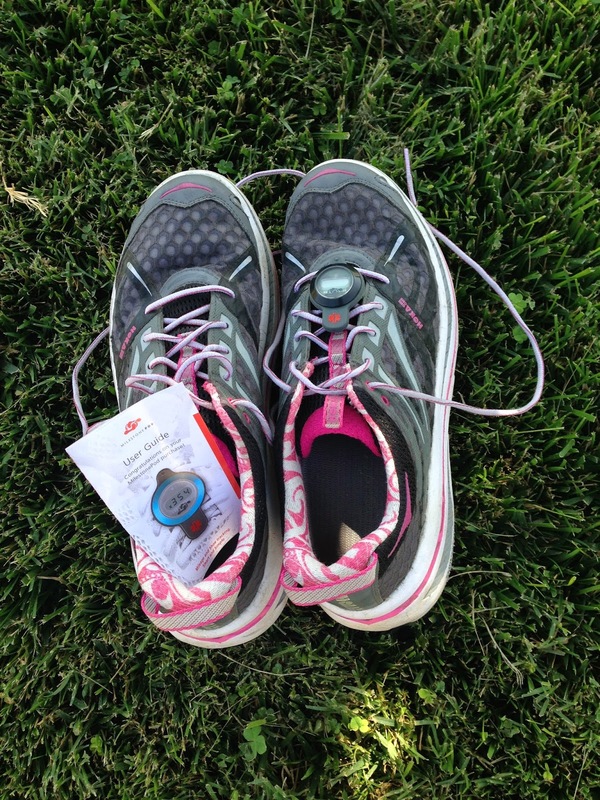 Running with SD Mom: Technology meets Running and a Milestone Pod GIVEAWAY! Technology meets Running and a Milestone Pod GIVEAWAY! You know when you see a gadget and you say, why didn't I think of that?? Well, this is one of those times! 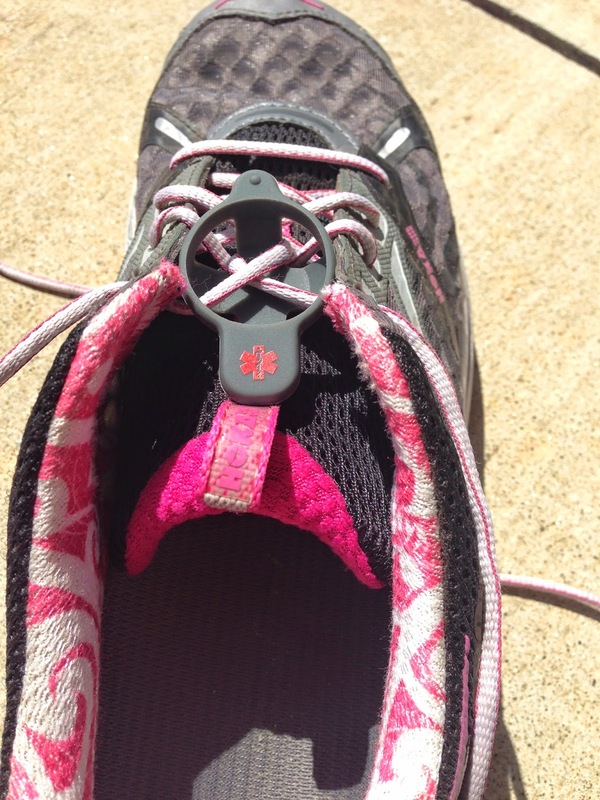 Simply lace the pod through your shoe and begin your work out. The pod collects data as soon as it senses movement. No buttons, no waiting, no hassle. Track your mileage for every run or walk – your pod goes with you everywhere. There is no need to disconnect from shoe! Don't lie - that is a GIANT shoe! You would think I was 8 feet tall! 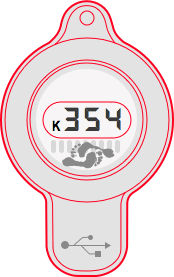 The pod constantly displays current total mileage from your shoes. Never replace a shoe too soon and avoid falling prey to injuries from broken down shoes (e.g. stress fractures, tendonitis, plantar fascitis, runner’s knee, shin splints, and others). Wirelessly sync your pod with Bluetooth technology to view detailed work out data. The MilestonePod stores up to two weeks of data covering overall mileage, individual run mileage, pace, and cadence. This one is my Milestone Pod App available thru the iTunes store set up for my Hokas. It tracks everything and even asks you how much you weigh (**GASP! **) so it can properly calculate your cadence! So, of course, I put them on right away and went for a 1 mile quick run around my neighborhood. Didn't feel the pod at all! 1. You don't have to start them out with a new pair of shoes, however, we recommend it! If you get the Pod after you have some miles on them - just mentally track the extra miles and add it to the total miles on the shoes. Or if you would rather - we could preload some miles on the Pod (if you know how many miles are currently on your shoes). 2. Yes, you need two if you rotate the shoes. 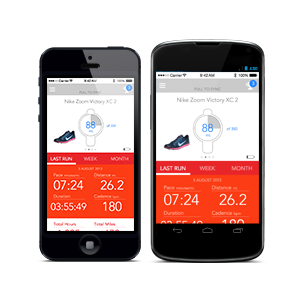 Lace one on each pair and sync both Pods with our Free MilestonePod App. 3. Our Pod's battery last an average pair of shoes (we are currently working on extending it)... however, it just takes your typical watch battery and can be replaced if it runs out. Just make sure you are syncing regularly to save the information from the Pod to the App. Then when you replace the battery, resync with the Pod and your Pod will display the last mileage! It's simple really! The pods are only $19.95! A steal if you ask me! 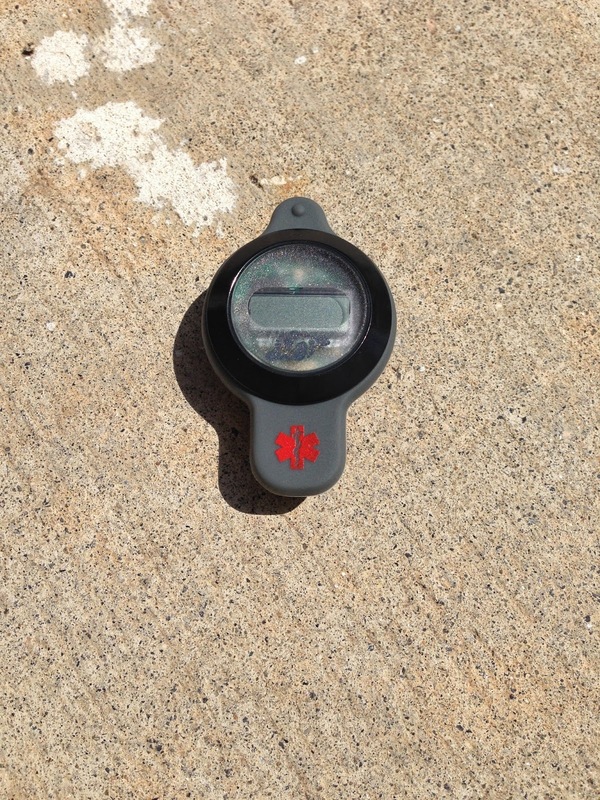 It is like having one of those fancy iPhone apps or a Garmin without having to wear anything extra. Just your shoes and take it from me, you can't even feel the pod on your shoes! You can buy one here. But of course, I wouldn't tell you all about this awesome gadget if I wasn't giving you the chance to win one on your own too! 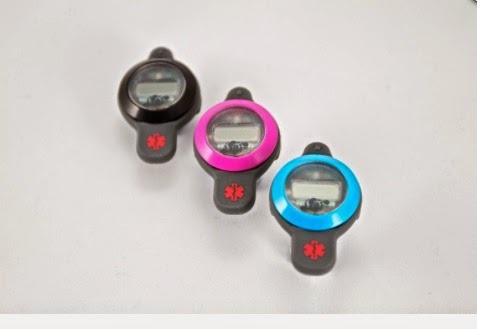 You can win your own in your choice of color - black, blue or pink! As always, head on over to the Rafflecopter widget and enter to win your choice of color sent directly from Milestone Pod! Prize will be shipped directly from Milestone Pod. Good luck and like I said, if you don't win, you can always get one for just $19.95! Saddly i guess how many miles based on when I purchased the shoes and how many miles i have logged in mapmyrun. Not great but better than nothing. These pods are genius! I use my daughter's Ipod when she lets me. I don't currently keep track of the mileage on my shoes but I like the idea. I write them down in a notebook based on the amount of miles my run keeper app says. This is a cool product I have never heard of. I currently keep a paper journal, but love the idea of milestone pod! I really don't do a good job at all. Unfortunately I don't keep very good track of my shoe mileage. I go by how many races in a shoe. If I complete a full marathon and 16 week lead in I usually retire them after the race. Not very scientific. This would be awesome to have for my training for my first ultra - 50 miles this fall! Well those are pretty cool! I usually just replace about every 4-5 months or when I see a cute new color! That is so cool! And only 20 bucks! Finally a way to prove to my husband that yes, shoes do get worn out inside and need to be replaced! Ahh it can be so frustrating! My feet can tell when my shoes are ready to be switched out because they start to feel less supported. After teaching for 30 years, I have a feel for when it's time. I know, not very scientific. Currently, I use a gps watch to calculate my distance and an excel sheet to keep track of how many miles on which shoes. It's not the best system but it works for now. I keep track by tagging in my Nike+ app but also by my giant spreadsheet I keep. Uh, I have no system, LOL. When they look busted, I try to get a new pair :P Clearly I need a better system! I use the Nike+ app on my phone. It keeps track to total milage since I began using the app as well as each pair of running shoes I have worn. After the shoes have 'seen their better days' there is a funtion on the app to retire the shoe. Pretty nice, but sometimes I don't like taking my phone and want to 'unplug' from technology, so this would be awesome to have on my shoes. Great review! These look great! I've been wanting a way to track my shoe miles and this seems simple enough. If I don't win I might just buy one! I have been using my old Nike+ Sportwatch (not the new GPS one) with the shoe pod. It would be great to have one thing! I don't keep track of my miles but I should. I tried to enter in dailymile but I gave up. I tried to write it on paper but never stick to it. I haven't been keeping up with my mileage - I just replace them when the tread gets worn down. I need this! I drive around check the mileage in my car between the places I want to run. I try to keep track with my GPS watch, but I often forget it (or it's out of batteries) and I have to use my phone or just run for time! I don't currently keep track! Yikes! Currently, I don't keep track! I use an app and keep it online too, but I'd love this shoe pod! I don't at this time. I would love to see how far I go with the dog taking me for a run everyday. I don't keep track. My hubby asked me how I keep track or was there really a way to keep track and now there really is!